Lamont Hames (left) of the MSI STEM Research & Development Consortium; Dr. Chance Glenn, president of the AAMU-RISE Foundation; Dr. Victor McCrary, vice president for the Division of Research and Economic Development (DRED) at Morgan State University; and Gary M. Schneider, vice president of global technical sales at the IBM Corporation, participated in a panel discussion titled “Shifting the Paradigm: Developing Successful Research & Development Grant and Contract Partnerships” during the 2017 AMIE conference. Conference participants gathered for a group photo with the UDC mascot. It’s time to turn talk into action. That was the advice engineering deans were given during one of various panel discussions at the 2017 annual conference for AMIE (Advancing Minorities’ Interest in Engineering). The conversation, moderated by Dr. Chris Ford, president of Golden Technologies, focused on mutually beneficial opportunities. 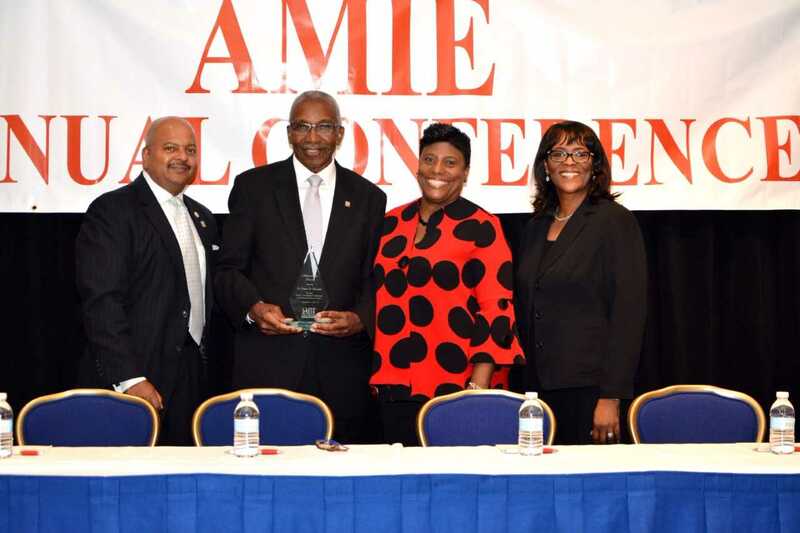 In addition to Hames, speakers included three other panelists with extensive experience in executing government contracts and building partnerships among government, industry, and Historically Black Colleges and Universities. They were Dr. 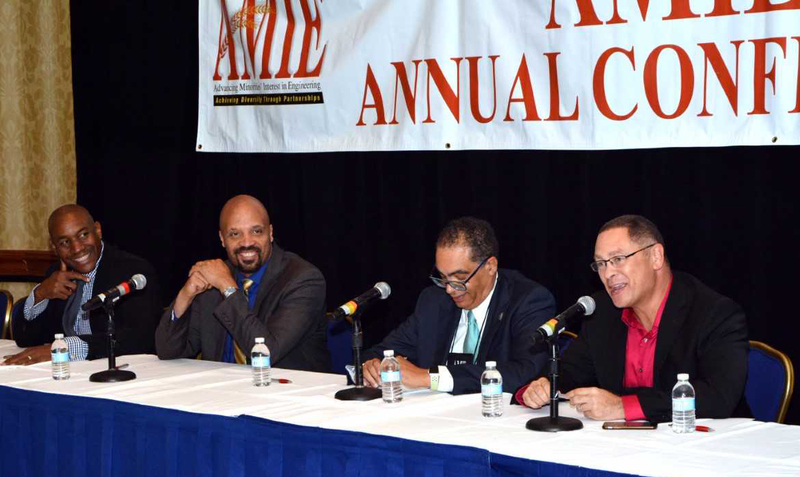 Chance Glenn, president of the AAMU-RISE Foundation; Gary M. Schneider, vice president of global technical sales at the IBM Corporation; and Dr. Victor McCrary, vice president for the Vice President for the Division of Research and Economic Development at Morgan State University. Panelists agreed that it is imperative for HBCUs to align the innovation from their engineering schools with industry and economic development. 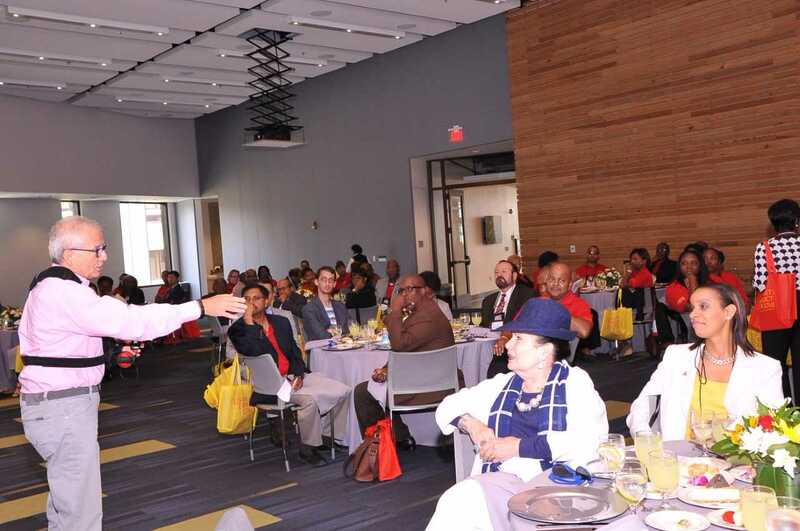 “The big idea is entrepreneurship,” Schneider said, noting that HBCUs could be where the next Facebook or Google is launched, thus enabling these schools to create more jobs rather than only serving in a job placement capacity. In addition to creating entrepreneurs, McCrary, Glenn and Hames encouraged the HBCUs to collaborate and go after federal research and development contracts together. “Less than one percent of R&D goes to HBCUs. So there is a lot of money being left on the table,” Hames said, adding that HBCUs need to be flexible while also making a commitment to ongoing collaboration. According to Glenn, HBCUs need more support at the VP level on campus, along with an understanding of contract language and what exactly are the required capabilities. “My message to deans is, if you want to get into contracts, you need to have the infrastructure, a point of contact. Deans need to work with vice presidents of research,” Glenn said. Glenn is working to assist HBCUs in building that infrastructure. Earlier this year the AAMU-RISE Foundation partnered with Phenomena Media Productions to launch the Knowledge Sharing Center, a web portal with training modules, webinars and other tools for HBCUs interested in government contracting. AMIE has sponsored membership in the Knowledge Sharing Center for the 15 ABET accredited engineering schools. “We can change without losing sight of our mission,” McCrary said, adding that funding from government contracts will better enable HBCUs in their pursuit of education, research and innovation. Nicholas Donofrio, IBM fellow emeritus and executive vice president innovation and technology (ret. ), was the luncheon keynote speaker. 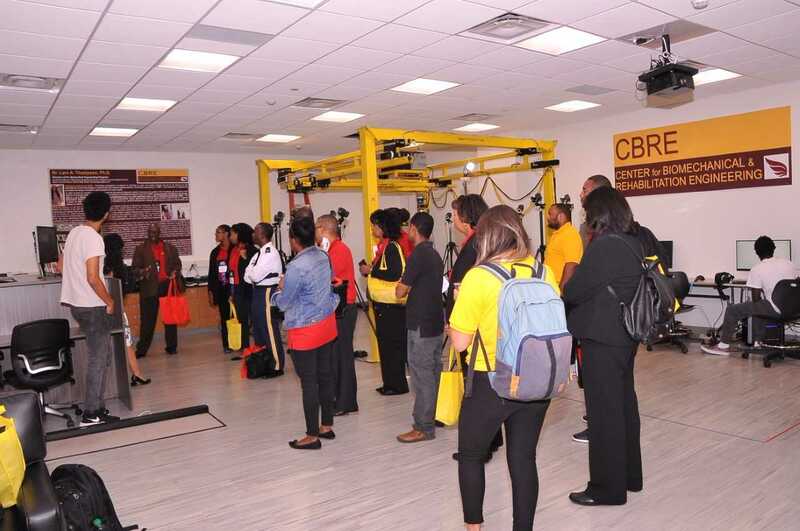 Conference participants toured the UDC research facilities, including the Center for Biomechanical & Rehabilitation Engineering. The AMIE banquet keynote speaker, Dr. Eugene DeLoatch (second from left), was also the 2017 Black Engineer of the Year. Get the information and resources you need, whenever it’s convenient for you.